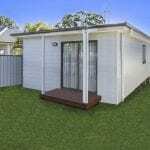 Recently we have seen an increase in enquiries for granny flats as a holiday rental for properties located in Port Stephens. 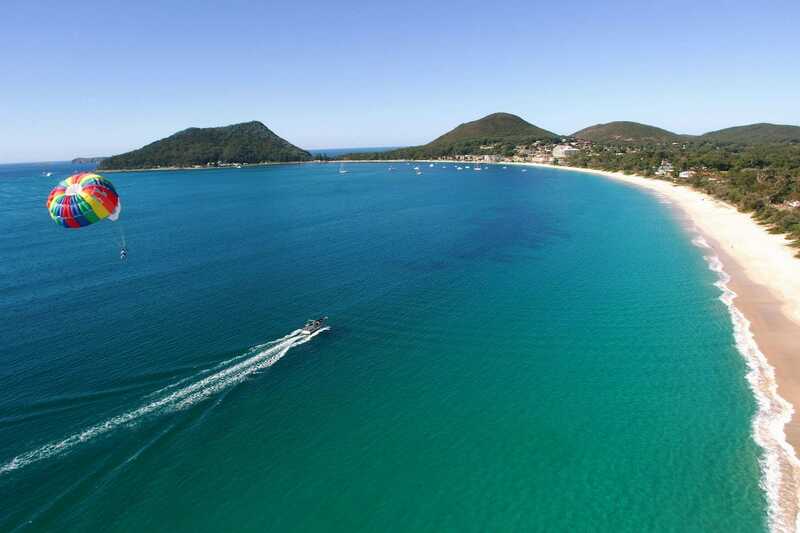 The beautiful Port Stephens region is one of those areas that sees a surge in its population during the warmer months, as tourists flock to the beach-side suburbs. The most recent Destination NSW statistics found that the average annual visitor numbers were around 1.4 million! With overnight visitors spending around $3.4million on their accommodation. This is something that many locals and property investors are cashing in on, building a granny flat on their property in order to have a holiday rental that they can leverage during the peak periods. Feedback from real estate agents we have spoken to in the area have said that during times like the Christmas holiday period, Easter and the September school holidays, some granny flats can achieve up to $2,000 a week. These figures are achievable because our granny flats are essentially just small homes. Our granny flats contain all the elements of a small house, including 2 bedrooms and beautiful and spacious alfresco areas. This addition is perfect for a holiday home. The Backyard Grannys team are continuing to see increasing enquiry levels for properties across the region, specifically for Salamander Bay, Nelson Bay, Shoal Bay, Corlette and Anna Bay. But interestingly we have even seen enquiries coming from places from further away, on the other side of the bay, from suburbs such as Tea Gardens. And of course, a large number of these enquiries turn into clients, so in the coming months we have several projects commencing construction in the Port Stephens area including two Nelson Bay granny flats. Keep an eye out for our signs! Due to the demand for granny flats in the wider Hunter region for many years we have ensured we always have a granny flat display home available for people to view. Sometimes it’s just better to be able to look at a finish product in person! Our granny flat display homes change every few months (in order to show different floorplans, designs and finishes) and at the moment we have one at Wallsend (Newcastle) and another one at Blue Bay (Central Coast). Both our display homes are open on a Saturday, as well as by appointment during the week. 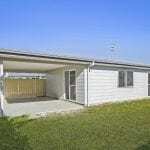 We encourage you to have a look at the great granny flat options available. And if you want to talk about benefiting from the Port Stephens tourism industry by building your own granny flat, we’d love you to call us on 49472800 or click here to fill out an enquiry form.